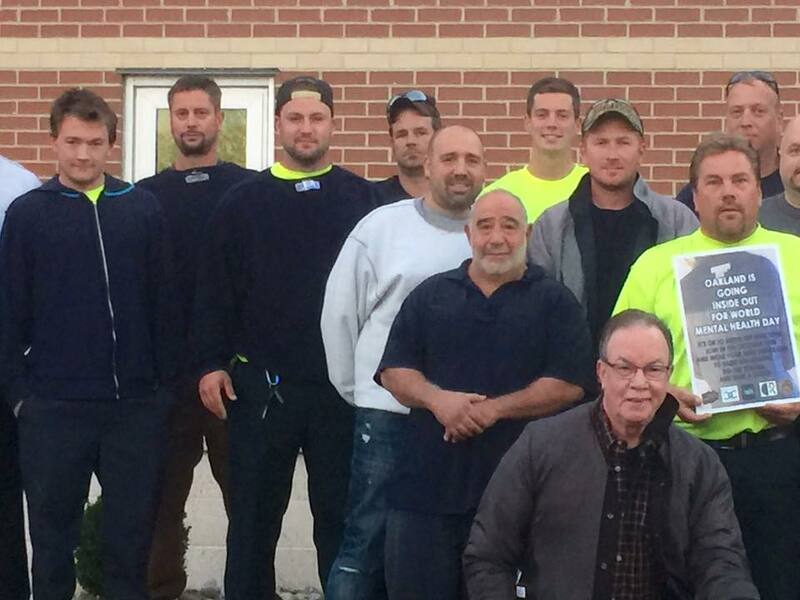 Oakland was Inside Out on October 11th, 2016 – raising awareness for mental health by wearing an item of clothing inside out. And it was a great day for Oakland with kids having fun wearing something inside out; teachers and principals looking silly wearing something inside out; DPW and borough hall got inside out; and, local businesses supported the community by going inside out. It was a great day for Oakland as a community came together to raise awareness, give support, and say it a collective voice, we dare to care. 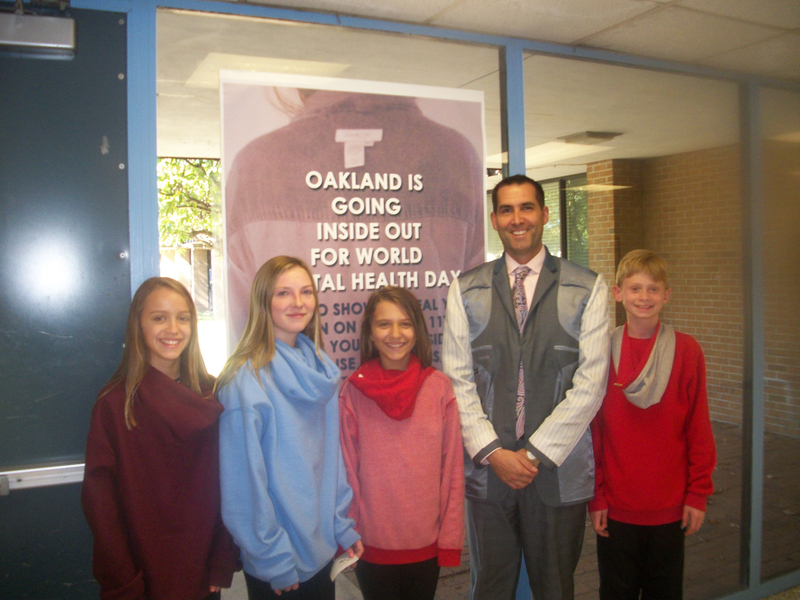 Coordinated by LetsTalkOakland, the Oakland Recreation Department, the Oakland Schools, the Community of Commerce and Borough of Oakland, Inside Out Day brought out some smiles on what is a serious and somber subject. 20% of youth ages 13-18 live a with mental health condition, 11% of youth have a mood disorder, 10% of youth have a behavior or conduct disorder, 8% of youth havean anxiety disorder; and the average delay between onset of symptoms and intervention is 8-10 years. How youth today learn to deal with emotions and stress will have a significant impact on their success for happiness when they become adults in 8-10 years. And, tragically, the 3rd leading cause of death in youth ages 10-24 is suicide. Everybody hurts sometimes, and everyone feels alone sometimes, and everyone feels stressed out sometimes, and everyone needs some help, some advice sometimes – and sometimes the answer is as simple as talking to someone. And if faced with even more serious mental health issues or illness, taking that first simple step of talking to someone is all that is needed to get on the road to recovery. The freedom to talk- being comfortable to share feelings, fears, emotions – is critical to our well being — and simply talking has been shown to have an impact on how our brain processes emotions. Studies have shown that people’s brains show a robust response in the region known as the amygdala when viewing emotional pictures ( something that inspires fear, hate, anger); this response in the amygdala happens even when the emotionally charged images are shown in a subliminal manner, so fast the person does not realize that they saw it. Additional studies have shown that when people start to apply words to the images – like calling an angry face an angry face – the amygdala response decreases. It shows the amygdala less active when an individual labels the feeling. In addition, by labeling the feeling, another region of the brain becomes more active: the prefrontal cortex, this is the part of your brain that houses your higher cognitive functions, your sense of morality, your sense of will, your sense of self. This is the science behind why talking about our feelings helps. On a side note, many studies concerning how the brain processes emotions is often focused on the negative – fear, anger, hate – because it is easier to conduct these studies. The brain gives more weight to things that distress us, and that’s built in to our survival DNA; bad things sometimes seem much more important than they really are because the brain reacts robustly and with immediacy….but talking can bring it down a notch, and let those higher cognitive functions take control. Thanks and congratulations to everyone going inside out in helping to raise awareness about our mental health. Please visit our facebook page to see many more pictures of Inside Out Day and like the page to keep updated on our upcoming events. 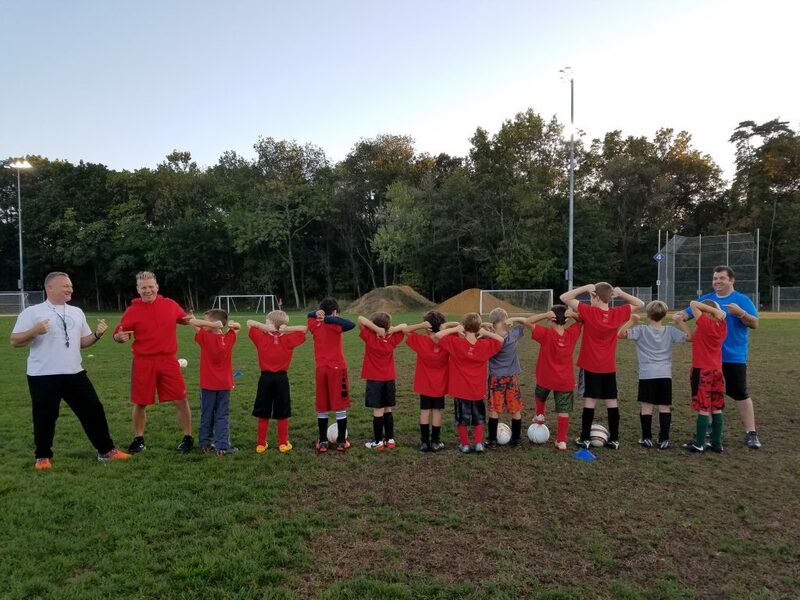 Oakland Rec Soccer played Inside Out! Here is the video we used to promote Inside Out Day created by student member Aly McCormick. It had over 1300 views on facebook and 180 on YouTube. Thanks to all for raising awareness. 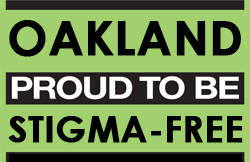 Congratulations Let’s talk Oakland on bringing some really important and vital issues to the forefront and making a great forum to help anyone that needs help feel comfortable seeking it!